Here at The Worley Gig, we are always on the hunt for cool Pink Things to bring our readers, and here is a good one. The Yucaipa-based Gingerbread Shop was spotted by me a few days after Christmas at downtown Riverside’s Festival of Lights, where they’ve parked for at least the last three years. 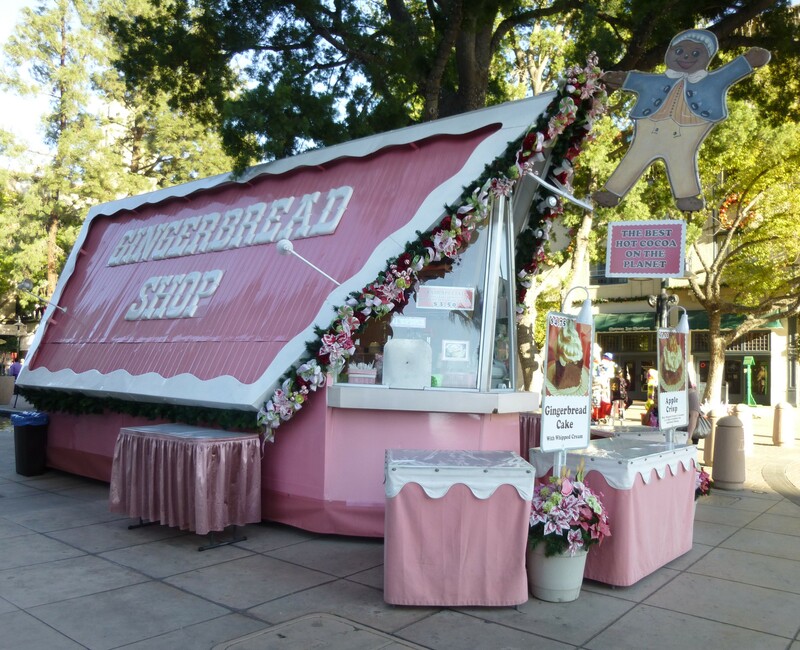 The Google informs me that this Bright Pink A-frame pop-up bakery is an offshoot of a bakery at Santa’s Village (a small park with kiddie rides that I recall visiting as a child), and for a time was a fixture at the Inland Center in San Bernardino. The shop serves up delicious desserts, including cinnamon rolls, apple crisp and, of course, gingerbread cake and gingerbread men, as well as hot beverages. 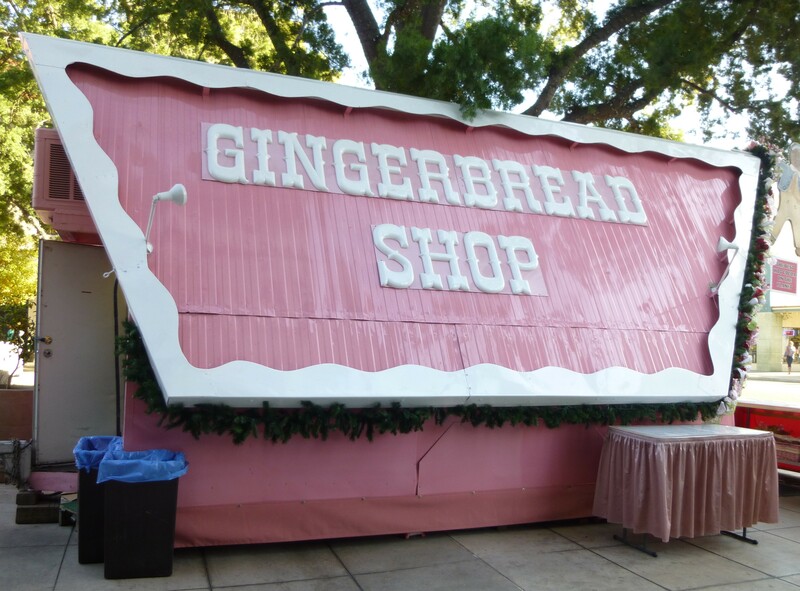 The Gingerbread Shop is located on the Main Street Pedestrian Mall, on the north side of Mission Inn Avenue. Unfortunately, the Festival of Lights runs only through January 4th, 2014, so you’ll have to wait for next year to check it out!